Hello, all! 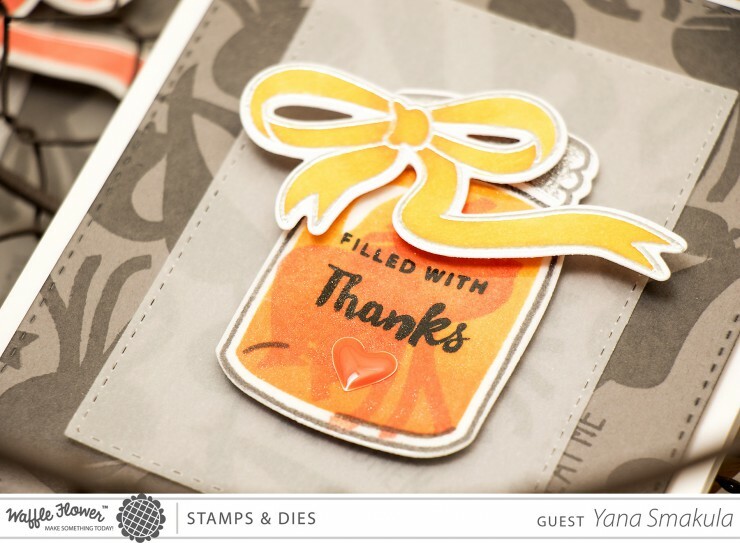 I finally had free time to play with some of my clear stamps and dies and I’m excited to share my new video using Waffle Flower Crafts Good Stuff stamp set featuring tone on tone stamping and glossy die cuts. Waffle Flower Crafts always have very unique and out of the box designs. I simply adore their Monochrome stamp set (check out my Perfect in Any Way card + video) and Homemade Christmas set (check out my Gift For You gift set + video). I’m delighted to be a guest on Waffle Flower Blog today and to share my projects and a video tutorial using their products. So today I’m working with a Good Stuff stamp set and a set of matching dies to create these these Thank You cards with fun glossy jars. I used a very old (but nonetheless fun) technique – tone on tone stamping using watermark ink. 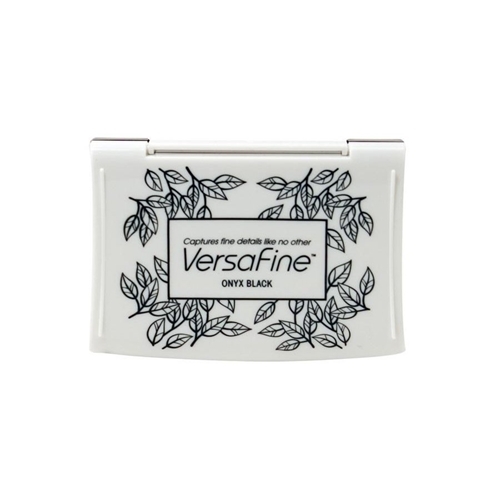 I mainly use my Versamark Watermark Ink Pad for heat embossing but it also works great for stamping images on colored cardstock to make them appear one shade darker than the color of the paper you are using. See the background on the photo below? It was stamped using clear watermark ink. Love this look! Here’s another card with a similar background stamped grey ink onto grey cardstock. Stamped images appear to be a bit darker and they look crisp, too. This is another way to do tone on tone if you don’t have watermark ink. Both backgrounds look great, if you ask me. I also stamped and die cut several jars and ribbons to dress up my card. 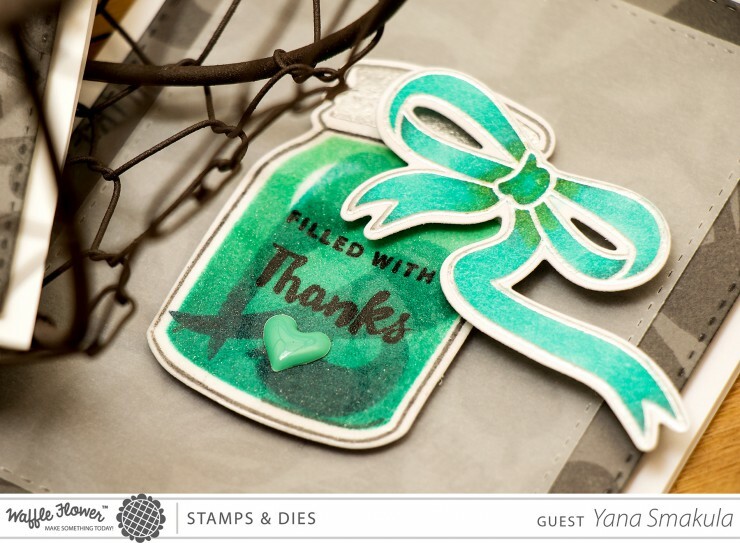 I first stamped the liquid inside the jars using ombre inks (I used yellow to orange, pink to red and mint to green). I double stamped each image and heat set it to make sure the ink would not bleed after I’d stamp the next image on top. I used royal red, pale tomato and pool to navy inks to stamp vegetables inside the jars. 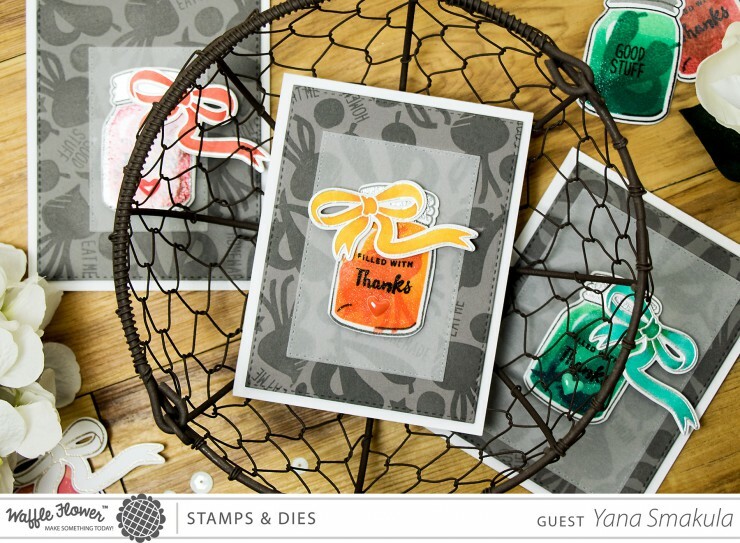 I intentionally picked darker colors to make these they would be visible on my pre-stamped backgrounds. 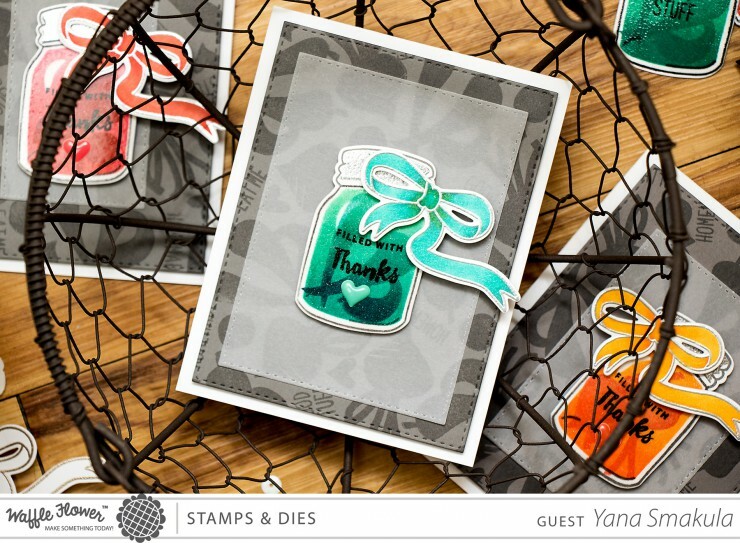 The sentiments inside the jars were stamped using Versa Fine Onyx Black Ink. I also added a touch of glitter using Wink of Stella Glitter pen and “sealed” my jars with two layers of clear embossing powder to mimic the glass shine. The lids jars were also heat embossed using silver embossing powder to make them look more realistic. Lastly, I foam mounted stamped and die cut bows (colored using Copic Markers) and dress each of the jar using an enamel heart shape from My Mind’s Eye. Like this video? Please give it a thumbs up and share. Thanks! Unique and stunning design! 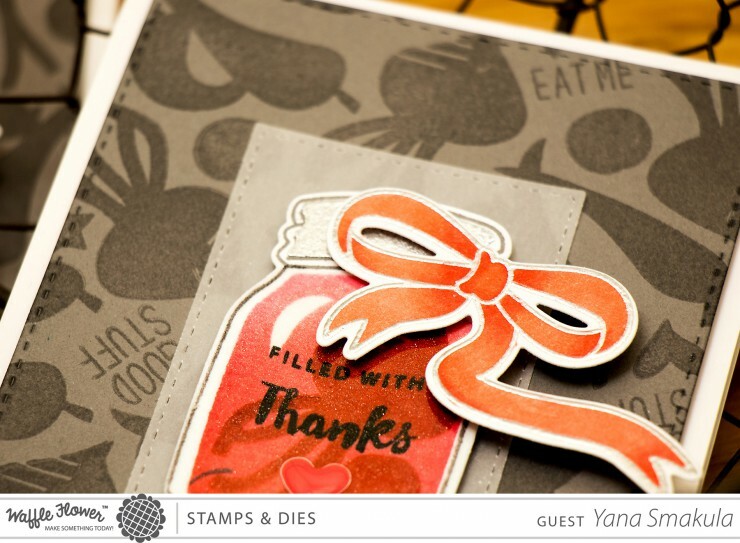 I love tone on tone with watermark ink. So simple but effective. Live how dark grey background make these colorful jars even deeper. Bravo! The circle may be a round pepper that sometimes is used in pickled veggies or even a radish. I think a jar full of olives would look cute saying “Olive you”. Thanks for the video and all the instructions. oooh, thanks a good one! thank you, Mary! ahaha, I had absolutely no idea about this! wow, thank you! and yes, its such a fabulous ink!